Last time, we saw that Job was under spiritual attack, and in his pain and sorrows, he called on Yahweh and blessed the Name of Yahweh. God is worthy of our praise on the basis of WHO He is, apart from blessings He bestows on us. This is the secret of Job's life in face of all his loss. Psalm 18 is psalm of David. He too, like Job, recognizes that Yahweh God is worthy of praise. He called on the Name of Yahweh and praised Him to overcome spiritual battles. Yahweh God delivered him from the hand of all his enemies and from the hand of Saul. David is praising God in the middle of spiritual battles. 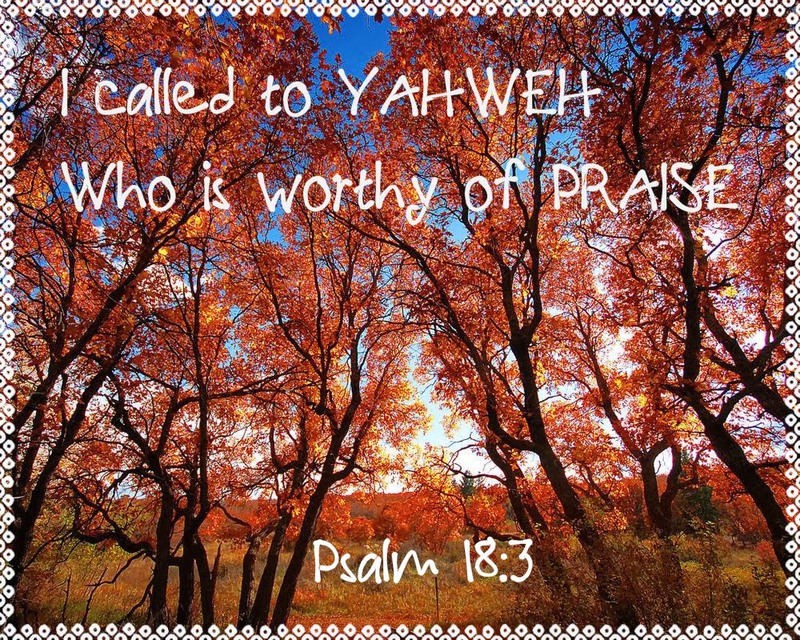 Here is an important connection of calling on the Name of God and praising Yahweh's Name, especially under severe spiritual attacks. God responds. The enemy flees. God's Name is honored. We are familiar with praising God when the music is on, when the drum is beating, when the pianist dances beautiful music on the piano, or when the singspiration leader leads us with singing. We seem to think that church worship is the best environment that is suitable to bless and praise God. Not so. Learn true spiritual meaning of praising God at all times, especially under the pressure of severe spiritual attacks, because He is worthy of praise all the time.